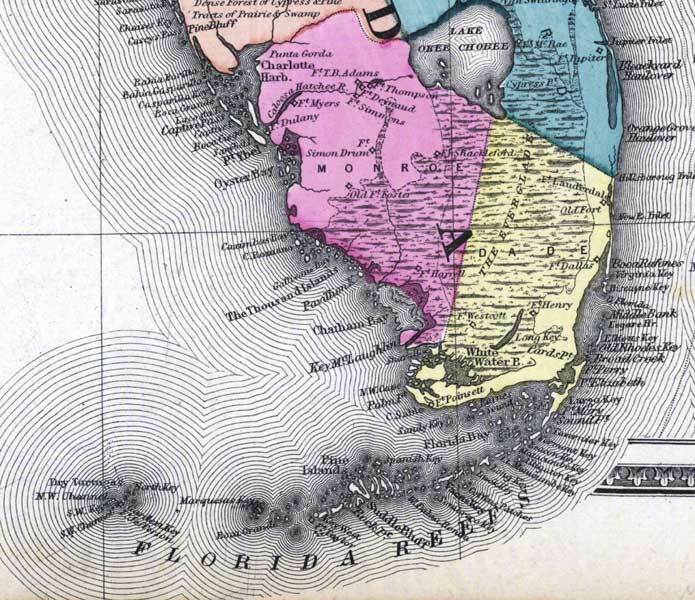 Description: This detail of a 1873 map of Florida, Georgia, and South Carolina shows an in color portrait of county lines of the period, Florida railroad routes, forts, and outlines major waterways for Monroe County. The major water features of the detail are Chatcham Bay, Barnes Sound, and Lake Okeechobee. Other features include Ten Thousand Islands, Cape Romano, and the Florida Keys.